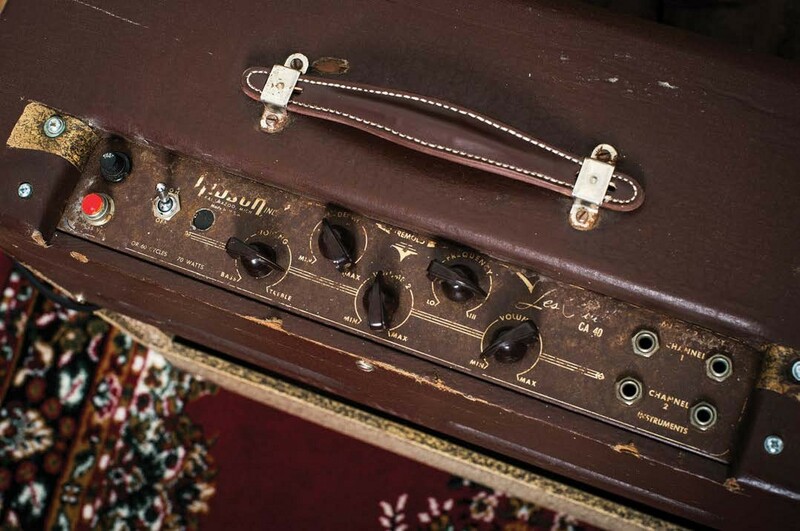 In total, Gibson produced no fewer than five Les Paul GA-40 amplifier variants. The looks and electronics varied from model to model, yet none produced anything like the 40 watts the name implies. All besides the last version were equipped with two 6V6 power valves, cathode-biased to drive about 15 watts through an Alnico Jensen P12. 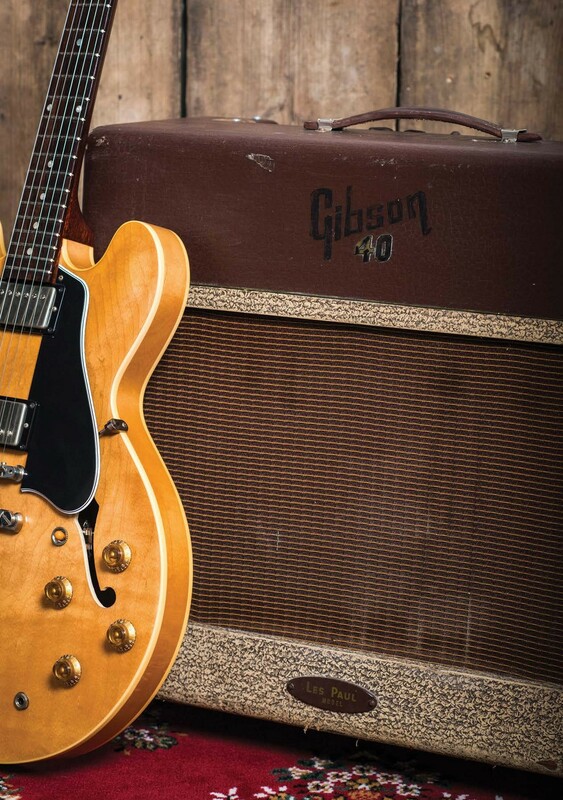 This GA-40 featured is the second version, which Gibson produced in 1956 and 1957. 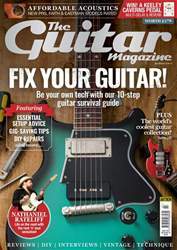 The redwood cabinet was increased in size and while Gibson retained the two-tone look, the ‘buff alo grained’ Tolex was combined with a smooth, patterned Tolex that looks like a blown-up photo of someone’s rug. The original P12Q speaker in our example is intact and its ‘late 1955’ date stamp suggests this amp is most likely a 1956 example.